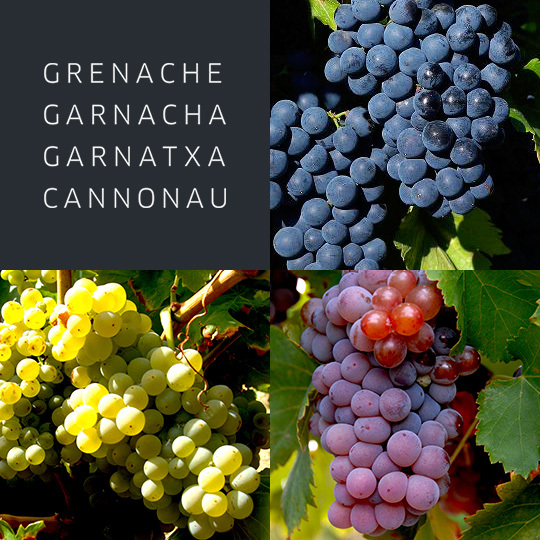 Grenache (Garnatxa, Garnacha, Canannau…) originated in Spain, probably in Catalonia or Aragon, and rapidly became established in Mediterranean vineyards. It is the most widely planted grape variety in the world, covering around 200,000 hectares. 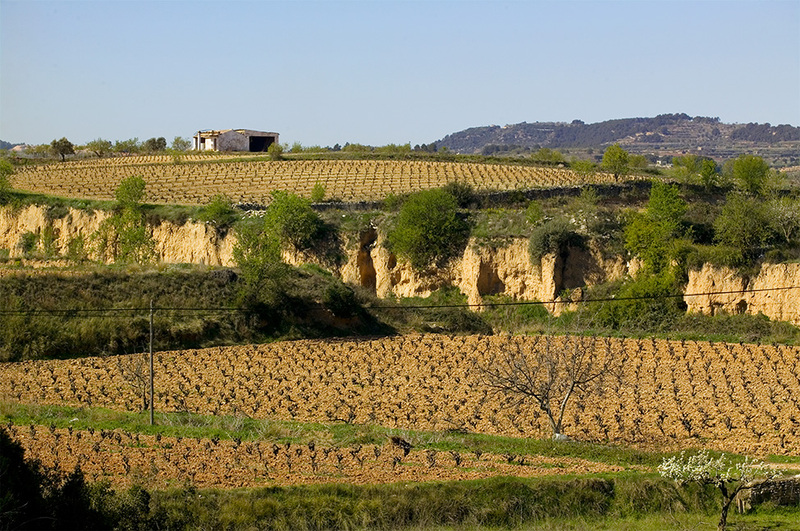 It is obviously found in Spain, its homeland (100,000 ha), in the North of the country, in Aragon, Catalonia, Rioja and Navarre and in the Basque country. 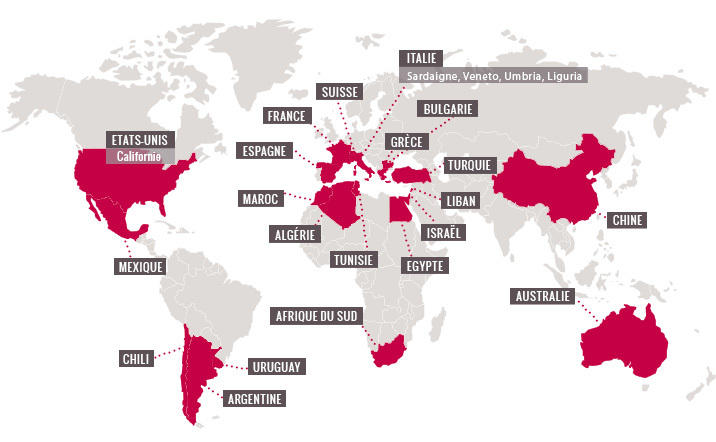 It is also widespread in France (90,000 ha – Roussillon, Languedoc, Rhone Valley, Provence), Portugal, Italy (particularly Sardinia), Greece, Mexico, South Africa, California (Chaparral area), Chile (South of Santiago) and Australia (Perth area). Originally, Grenache noir was the sole varietal. Gradually, however, the blush (or rosé) and white strains developed, concurrently with the expansion of dessert wines. Grenache is a vigorous grape variety with upright growth and good wind tolerance. It is perfectly suited to the poorest, driest soils. It is mainly bush-vine or cordon trained and pruned short, leaving just two buds. Short training is essential for harnessing vigour. Grenache forms large compact, conical, winged bunches. The berries are medium-sized, fairly thick-skinned with a high juice crop. The variety is late-ripening with fairly early bud-burst. Its upright growth and strong wood canopy, usually pruned short, make it resistant to strong winds and drought. Grenache is not particularly prone to powdery mildew (widespread around the Mediterranean) though it is susceptible to coulure and bacteria attacks. The compact, tight grape clusters promote the onset of downy mildew and grey rot. It therefore thrives in Mediterranean climates with low humidity. It produces extremely variable yields ranging from 20hl/ha to 80hl/ha on fertile soils when pruned long. 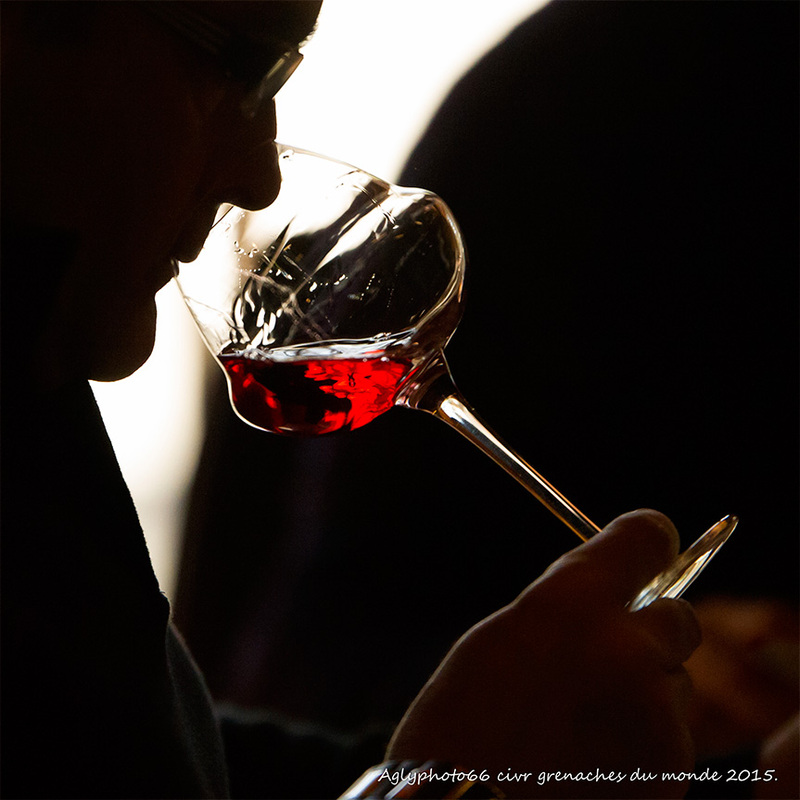 Grenache noir is well-suited to slightly acidic, gravely, stony and warm soils with high heat-reflection capacity, allowing it to mature slowly. It is less suited to alkaline soils with high limestone content. It shows at its best at low yields which is often the case around the Mediterranean where drought and poor soils naturally limit productivity. The variety has a high sugar accumulation capacity but colour decreases rapidly as yields increase. Acidity is generally low. Grenache noir’s potential alcohol also makes it suitable for producing superior quality dessert wines provided it is planted on premium soils, yields are controlled and colour concentration is high. Grenache noir yields wines with high alcohol content and low acidity. Combined, they impart compelling roundness, beautiful aromatic intensity (ultra ripe black fruits, prunes) and above all wonderful structure ensuring substantial ageability. The colour is commensurate with the yield. The variety is often blended with Syrah, Carignan and Mourvèdre. In dessert wines, Grenache imparts powerful aromatic intensity driven by notes of spice (cocoa, coffee, caramel) and dried fruits (nuts, figs, raisins) due to oxidation. The twenty-two Grenache noir (known more accurately as Grenache N) clones bear the numbers 70, 134, 135, 136, 137, 139, 224, 287, 362, 363, 432, 433, 434, 435, 513, 514, 515, 516, 517, 814, 1064 and 1065.